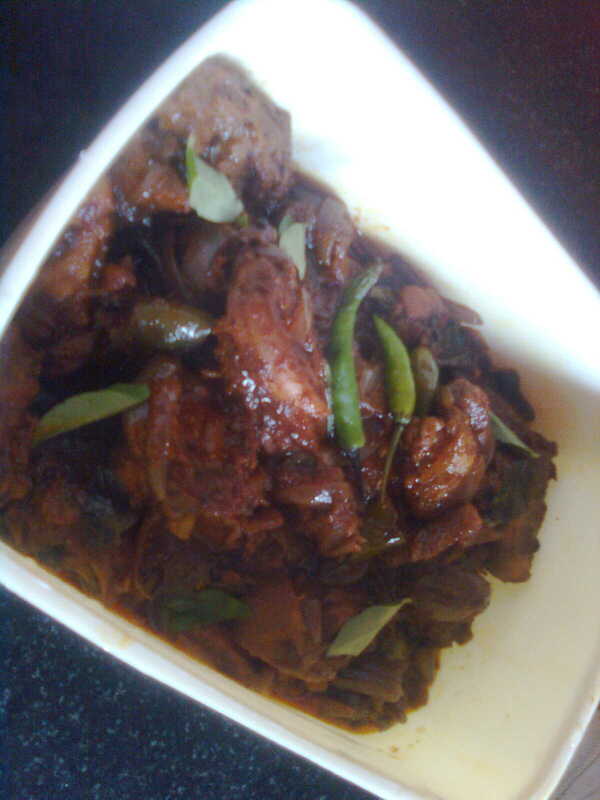 simple recipes of mine...the way i cook...isn't it easy..isn't it yummy yummy! 16. In bottom thick pan add sugar and water, stir this continuously, when it comes boil, put the flame into medium heat and stir it until it becomes a thick and sticky consistency. Simmer it and add cardamom powder, rose water and saffron a pinch when it becomes boil .And switch off the flame and keep it aside. Let it to be cool. 17. In a Bowl ,Add All Purpose Flour ,add corn flour ,yoghurt ,give a nice mix it ,then add vinegar ,slowly add water into it and stir it ,then add yellow food color ,and mix it. The batter should be in a creamy consistency. Then add eno fruit salt finally and mix it. 18. Pour this batter into a sauce bottle. 19. Take a Frying Pan add any refined oil in it ,allow it to get hot ,When the oil gets hot ,slowly pour the batter into the hot oil and fry it both the sides about 2 minutes and take it out and keep it in a paper towel for few seconds ,allow it to cool and again put this jalebi into the sugar syrup and flip both the sides and take it out to serve in a plate. 20. Serve it hot or cold. 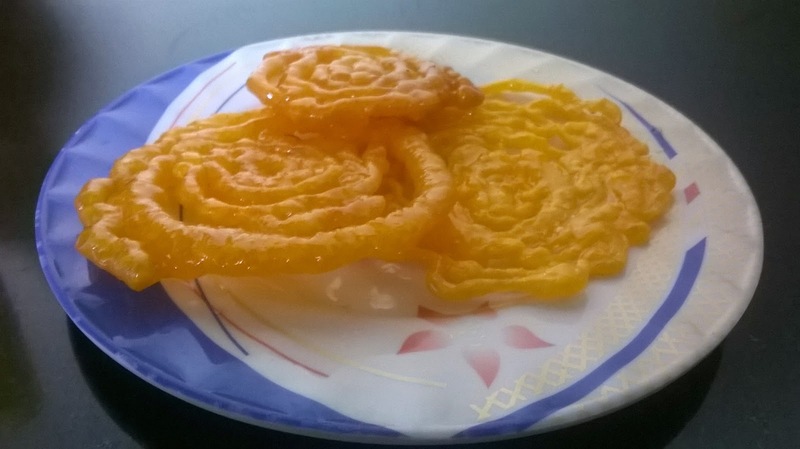 Labels: instant jalebi....Sweet dish for any season. "PEPPER BEEF ROAST WITH CHILLY"
⦁ First Clean and cut the meat into square Pieces and put the meat in a pressure cookerand add a pinch of turmeric powder ,2 tsp of ginger paste ,2 tsp of garlic paste ,1 tsp of pepper powder ,1/2 tsp of garam masala and salt . ⦁ Close with the lid for cooking no need to add water , it will take 5 to 10 visils for the complete preparation and keep it aside after cooking. ⦁ In a bottom thick pan ,add 3 tbsp of refined oil ,when its get hot add ,the cut pieces of pearl onion ,1/2 tspof fennel powder , curry leaves ,slitted green chilly ,pepper powder about 1 tsp and saute it well ,it will turn to a golden brown in color ,then add the cooked beef (meat) into this texture and mix it well ,add 1 tsp of garam masala and saute again and also add the required salt to taste and mix it and put it ona high flame for 5 mints more to become a roasted texture. after that switch off the flame. ⦁ Serve it in a palate garnish with coriander leaves and ready to have it with roti,chappathi or rice. 4. Black pepper powder	- 1 tsp. 11. Turmeric Powder	-1/2 tsp. 16. Lemon juice	- 2 tsp. 1. Clean the chicken and cut at a medium size pieces. 2. In Blender, add Red chili Powder, Coriander Powder, Pepper Powder, Cumin Powder, Saunf, Fenugreek, Cardamom, Cloves, Cinnamon stick, and turmeric powder, with a little bit of water and blend it well to get a smooth thick paste and keep it aside. 3. In the same blender add pearl onions thinly sliced ,ginger and green chilly just whip it to become a crushed texture and take this texture and the abovementioned smooth paste apply this to the chicken pieces by adding ,yoghurt ,salt ,lemon juice and little ghee mix it well ,and keep this marinated chicken pieces covered for 2 hours. 4. After 2hours ,In bottom thick kadai or in a nonstick pan ,add ghee and put the chicken pieces into it at a medium flame for 15to 30 minutes covered ,in between sauté it . 5. After half an hour, it will become a semi gravy type. 6. You can garnish it with freshly chopped coriander leaves or by deep fried pearl onions on the top of it. 7. 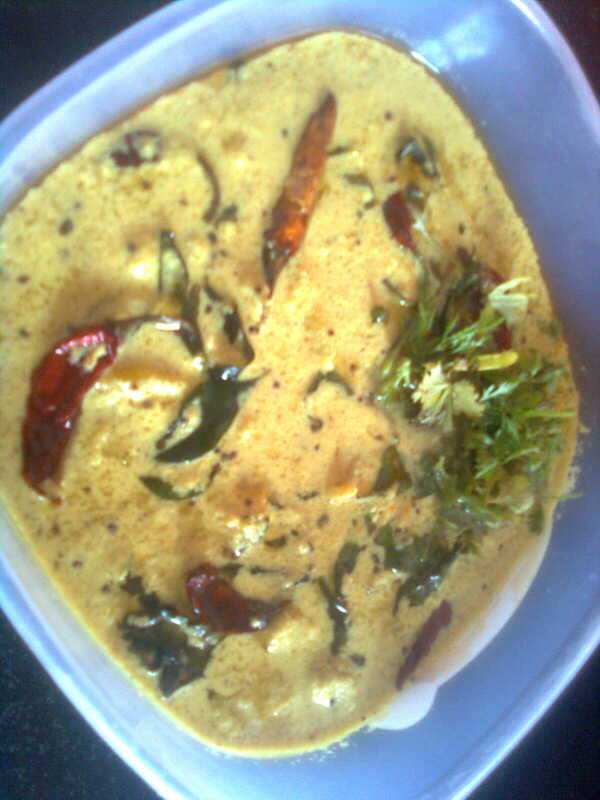 Serve hot with Rice, roti, chapattis or Nan. APPLE CANDY/APPLE PUDDING WITH CRUSHED NUTS AND PISTACHIOS. NB: For apple pulp –Take 4apple, Peel it, remove the seed, and add little bit of water and in a mixy or blender blend it well; you will get thick apple pulp. 1. In a bottom thick nonstick pan, add 3tabs of ghee, when it gets hot add this apple pulp into it and stir well to become a thick texture. 2. When it cooks half, add the gelatin mixture and mix well. Suddenly add the powdered sugar and stir it again, in this add apple essence or vanilla essence and mix well until it becomes a thick texture and switch off the flame. 3. In A glass dish or in a bottom thick palate, brush with little butter or ghee allover and Add this texture and just keep for some time to reduce the heat and you can now garnish with nuts almond or pistachios crushed on the top of it. 4. Keep this candy mixture at least 12 hours in the refrigerator, after 12 hours you can take it out and can cut in any shape as you wish and can enjoy this apple candy. Turmeric Powder	- ½ tsp. Pepper Powder	- 1 tsp. Fenugreek Powder	- ½ tsp. Cumin seeds	- 1 tsp. Mustard Seeds	- ½ tsp. 1. In a Pan, cook the raw plantains small sliced, with turmeric powder, pepper powder, and salt by adding little water, when the water is reduced, and plantains half cooked, add 2tsp of ghee or oil. 2. Grind the coconut green chilly and cumin seeds and add this paste to the plantains cooked and keep it in a low flame for 5 mins. 3. At this stage add the thicken yoghurt, and boil until the bubbles came out and the gravy gets thick no need to boil more switch off the flame. 4. In a tadka pan ,put oil or ghee ,add the mustard seeds when it splutter and red chilly and curry leaves add this to the cooked texture on top and sprinkle the fenugreek powder on top of kalan. 11. 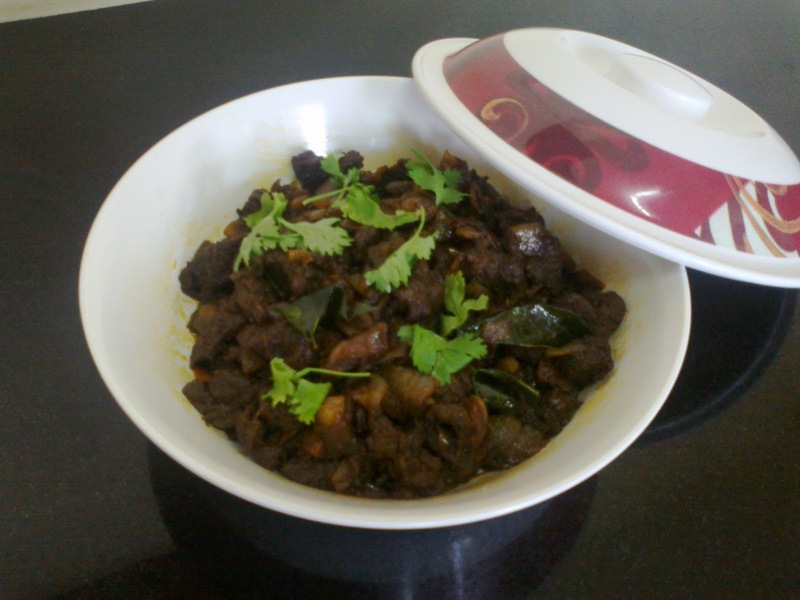 In a Small Kadai Or pan ,Put coriander seeds ,Red chilly and pepper powder roast it well without burning and put this in a blender with little bit of water and blend well to get a paste form. 12. Take half of the paste in a plate n keep it aside and another half apply it in the chicken pieces and so marinate it for at least 3 hours. 13. In a Pan, melt 5tabs of ghee, when it gets hot add the chopped shallots green chilly ginger chopped and sauté it well until it becomes soft, and add the remaining paste which is already kept and mix gently, add the marinated chicken pieces into this and add salt as needed no need to add water and stir well in a medium flame. 14. Take another pan ,Add the remaining ghee into it add the remaining shallots deep fry it ,add curry leaves then finally add the chicken boiled into this and mix well until it becomes the roasted form that means the masala should completely absorb in the chicken all at a medium flame, until it turns the roasted brown color. Turn off the fire. 15. Serve it in a dish and garnish with sliced onion rings, green chilly, tomato slices or even with chopped coriander leaves. 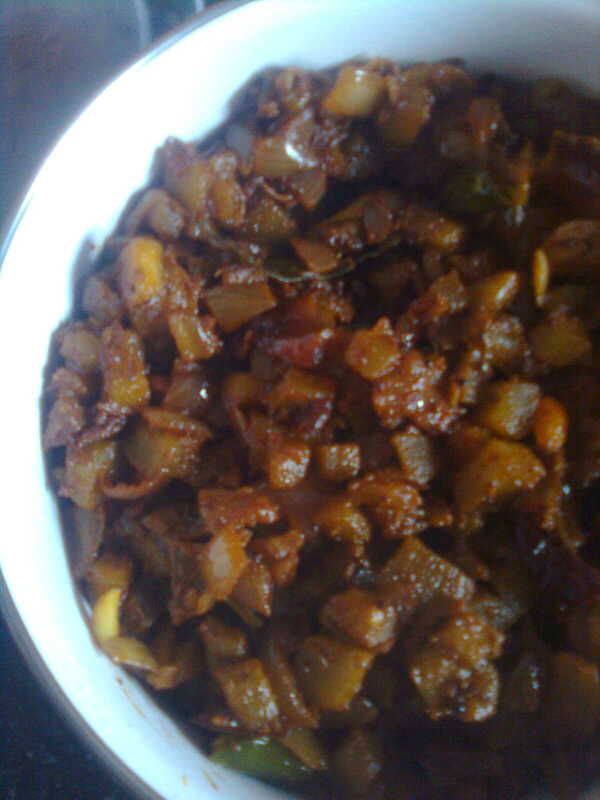 SNAKEGOURD SPROUT WITH GRINDED COCONUT MIXTURE/PADAVALANGA THORAN. 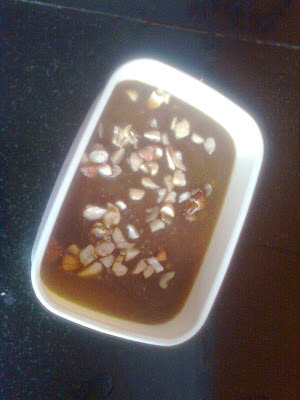 Ginger Garlic Paste	- 2 tsp. In a Kadai,Put 2tabs of coconut oil or olive oil ,when it gets hot ,add mustard seeds when it splutters add Dry red chilly and curry leaves sauté it ,Then add Pear onions diced ,sauté it to become a nice brown color and also add ginger garlic paste in a low flame. In a Blender or food processor, add grated coconut, slit green chilly, garlic pods, cumin seeds, Turmeric powder, Kashmiri chilly, curry leaves and a bit of salt without adding water just whip a while and keep this mixture in a plate. When the pearl onions get a nice brown color add the Snake gourd pieces and mix together with onions by adding little water and close with a lid to cook it well at a medium flame for 10 minutes, after 10 minutes open the lid sauté together and finally add the grinded mixture to this and mix all together, add salt also at this stage cook this for another 5 minutes and switch off the flame. 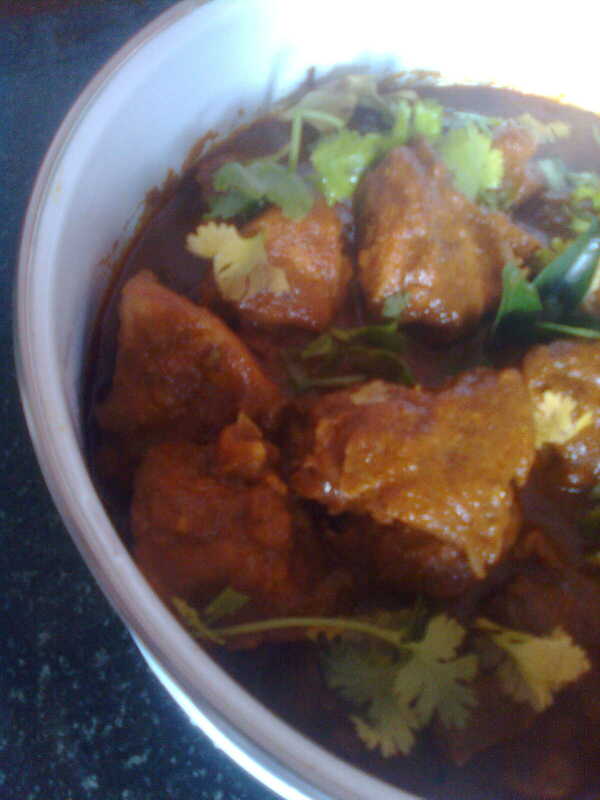 Garnish with red chili flakes or coriander leaves and serves hot with rice.